As players for Melbourne Victory and Sydney FC respectively, encounters between Kevin Muscat and Mark Rudan were spicy affairs. Still, no one would have expected the same of matches between Muscat’s Victory and Rudan’s Wellington Phoenix when the fixtures were released this season. In fact, the only notable feature of clashes between the two would have seemed that they had inexplicably been drawn to play each other at AAMI Park twice in the space of a month. And while scheduling could be thrown in with the salary cap, the VAR, and the fact that the Central Coast Mariners can be described as ‘in-form’ after one win in 12 months as one of the many flaws with the A-League I could have kicked off this new Roar column with, the six-goal thriller at AAMI Park deserves its moment in the spotlight. For 90 minutes of pure bliss, football took centre stage in a contest that ebbed and flowed from end to end, with minimal controversy and drama, sublime skill, a touch of chaotic defending and late drama. In many ways, it was the perfect match for the neutral observer and somehow improved on the exciting 1-1 draw the two sides played out less than a month ago. The coaching and styles of Muscat and Rudan have been crucial to the development of their respective teams and the standard of matches they have played against one another. Both Muscat and his Phoenix counterpart Rudan have impressed in their respective roles. Since replacing the seemingly irreplaceable Ange Postecoglou at the helm of the league’s biggest club, Muscat has impressed with a willingness to play fast, attractive football – somewhat in contrast to his reputation as a nasty, old-school defender. His two A-League championships are a testament to his ability to plan for success and execute with exhilarating efficiency. 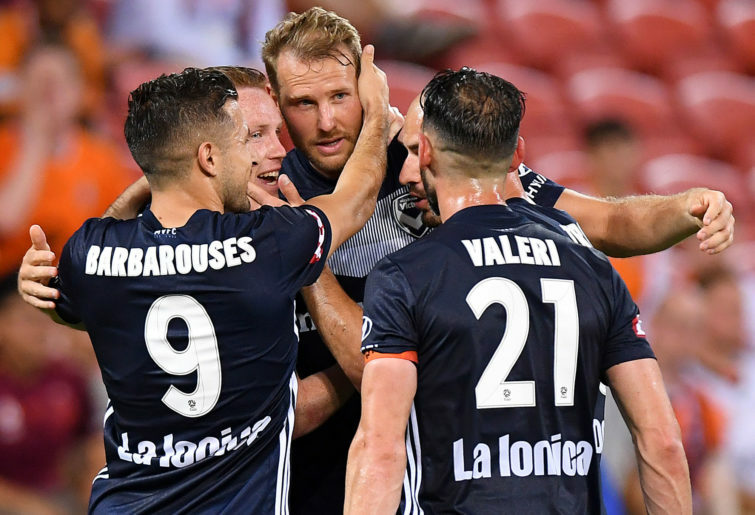 At the heart of his success have been Victory mainstays like the brilliant trio of Carl Valeri, Kosta Barbarouses and James Troisi, as well as stand-out utilities like Leigh Broxham. Savvy recruitment has played its part too and this season’s list of imports, comprising Keisuke Honda, Ola Toivonen, Raul Baena and Georg Niedermeier, has been among the best in the A-League’s history. Backed up by the league’s best football department and overall structure and governance, Muscat has truly excelled and proven himself as one of the league’s best man-managers and tacticians. The manner in which he changed the game at half-time facing a 3-1 deficit at home against the Phoenix on Sunday was remarkable and in the end, his side grabbed their deserved share of a thrilling encounter. For Rudan, the late heroics of Barbarouses may have felt like a punch in the guts after a hugely impressive first half. 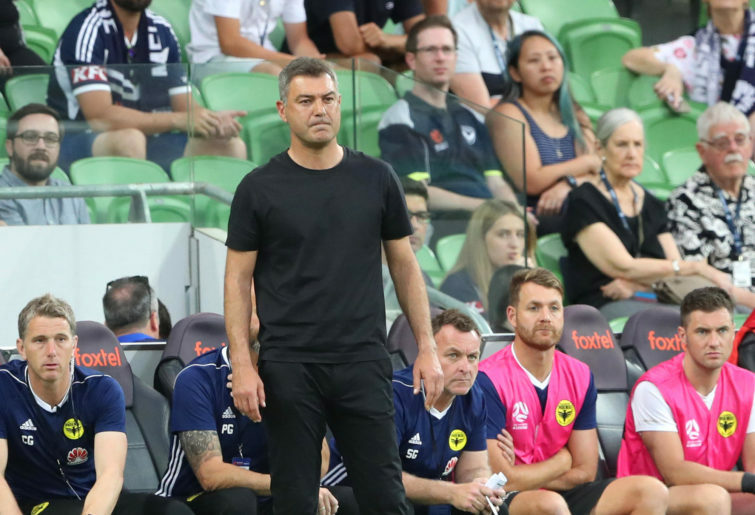 Rudan may be a much newer face to the A-League coaching circles than Muscat, but his start to life across the ditch will leave many wondering why it took so long for his opportunity to arise. As one of many stand-out performers in the National Premier Leagues structure with his hometown club Sydney United 58 FC, as well as his work as an analyst with Fox Sports, Rudan has been linked with A-League jobs for years. It took a Wellington Phoenix franchise with its A-League license hanging by a thread to give the former Sydney FC captain his chance and they are reaping huge dividends since affording him the opportunity. Rudan has demonstrated a keen eye for talent and an ability to recruit the right players for the right system. The development of young gun Sarpreet Singh under his guidance, as well as the rebirth of David Williams, a player who promised much but perhaps failed to deliver consistently for other A-League sides, have played a vital role in the revitalisation of this struggling club. His offensive, high-octane brand of football does not leave the Phoenix much margin for error defensively, yet maximises their chances of winning games. The Nix have scored nine goals in their last three games, taking seven out of nine points. Despite a slow start under Rudan, Wellington are unrecognisable from the rabble of last season, and the nature of their new style of play means that clashes with Muscat’s Victory will always have show-stopping potential. With their latest thriller in the books, A-League fans across the country will be waiting for the next instalment of this battle between two of Australia’s most promising coaches. Matthew Galea is a freelance football journalist. He got his start covering state football for the Victorian Goal! fanzine and went on to work in regional Victoria with the Shepparton News before covering international sports for Omnisport. Thanks to the loss of the Melbourne Heart to the City Football Group, he remains an A-League neutral with a deep-held passion for Manchester United.